Anil Goswami was sacked from the position of Union home secretary yesterday. He was accused of creating pressure on CBI officers to dissuade them from summoning former union minister Matang Sinh. Matang Sinh was one of the prominent names in Sharadha chit-fund scam. After the impeachment of Goswami, LC Goyal has been appointed as the new Home Secretary. Matang Sinh was minister of states in Narsimha Rao’s goverment during 1990s. He was accused of criminal conspiracy charges, cheating and misappropriation aginst him and was later arrested by the Central Bureau of Investigation (CBI) in the Sharadha probe. He allegedly took Rs. 28 crore for selling a (non existing) television channel to Saradha group chairman. According to officials Goswami accepted he had spoken to the CBI chief at the time of Sinh’s arrest and tried to explain the logic of making the phone call, but the home minister had already spoken to Prime Minister Narendra Modi and the two leaders agreed to sack him. 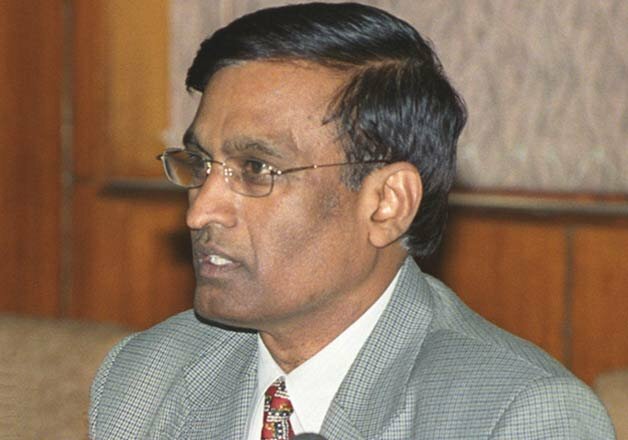 Mr. LC Goyal is a 1979 batch IAS officer from Kerala cadre. He was the secretary in rural development ministry. Earlier he has served as joint secretary (internal security) in the home ministry from 2002 to 2007. He has been appointed in the post for a tenure of 2 years.